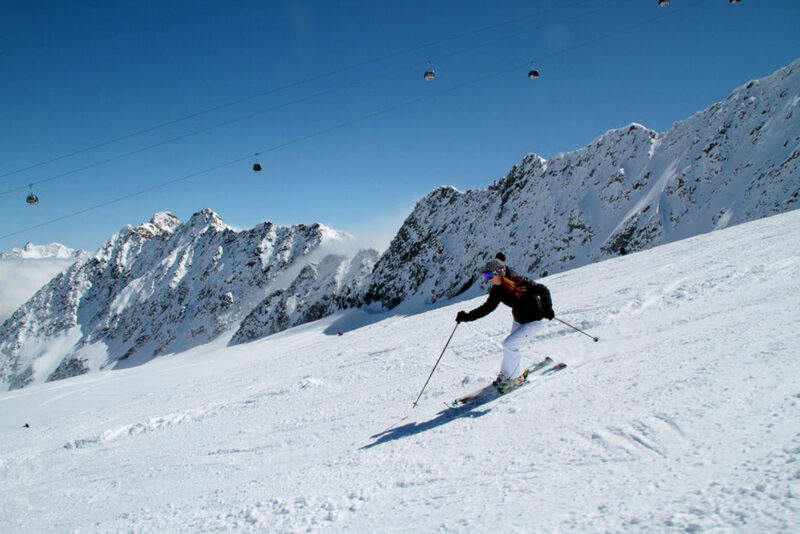 Solden is Austria’s only ski area with three peaks over 10,000-feet, and skiing on two glaciers – the Rettenbach and Tiefenbach Glaciers. 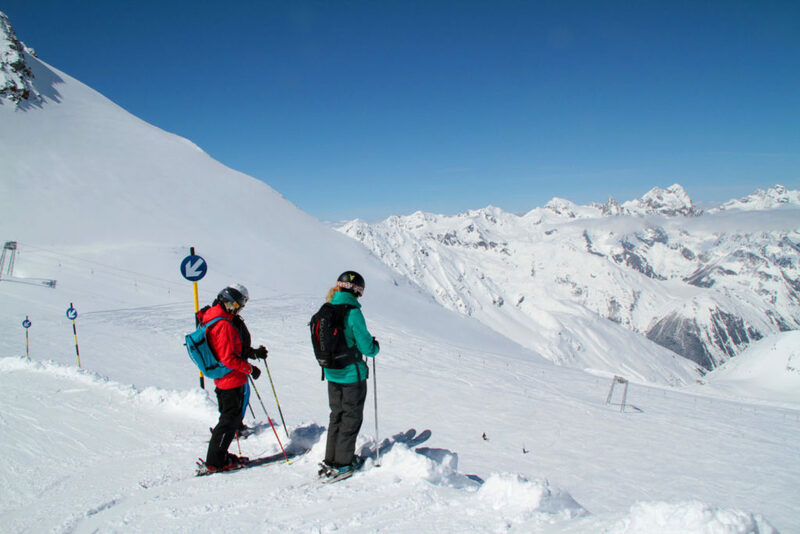 Located in the beautiful Otztal valley of the Tirol, Solden is ideal for a family ski vacation, a big ski resort with 35 modern lifts and gondolas, 150 kilometers of prepared (groomed) trails, the longest run is 15 kilometers, plus vast off-piste skiing of powder bowls, steep chutes and snowfields. 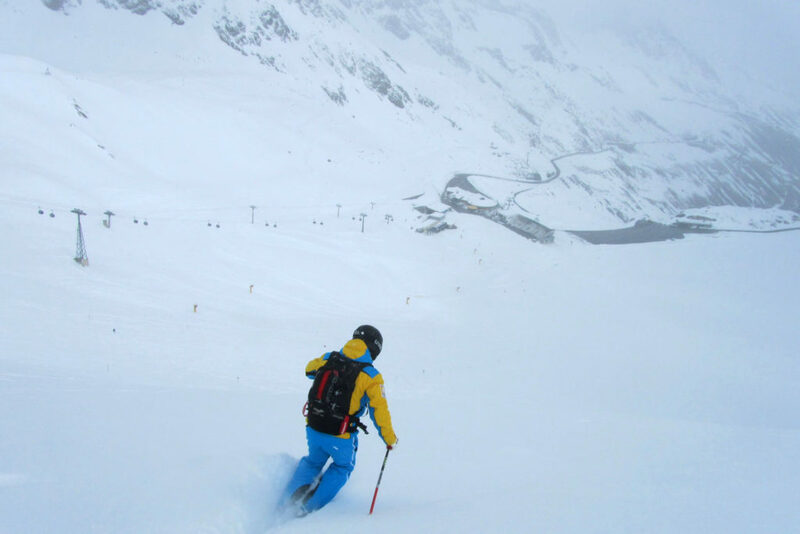 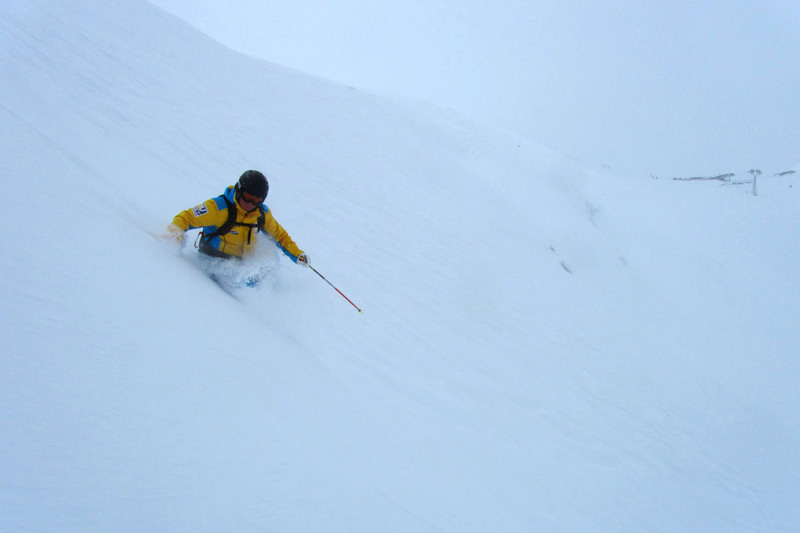 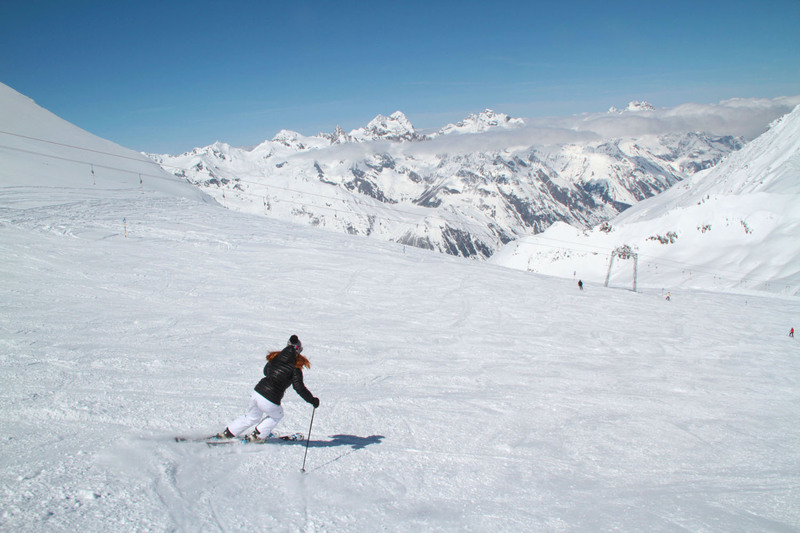 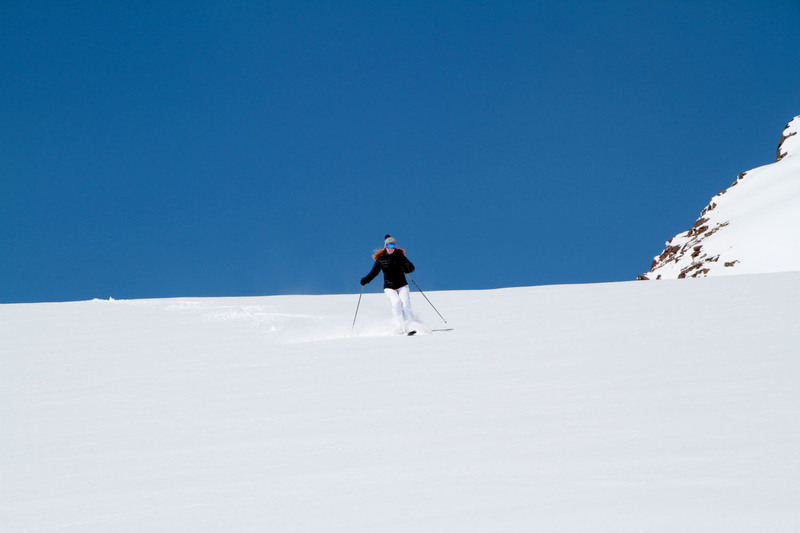 Solden boasts a long season with glacier skiing from October to May. 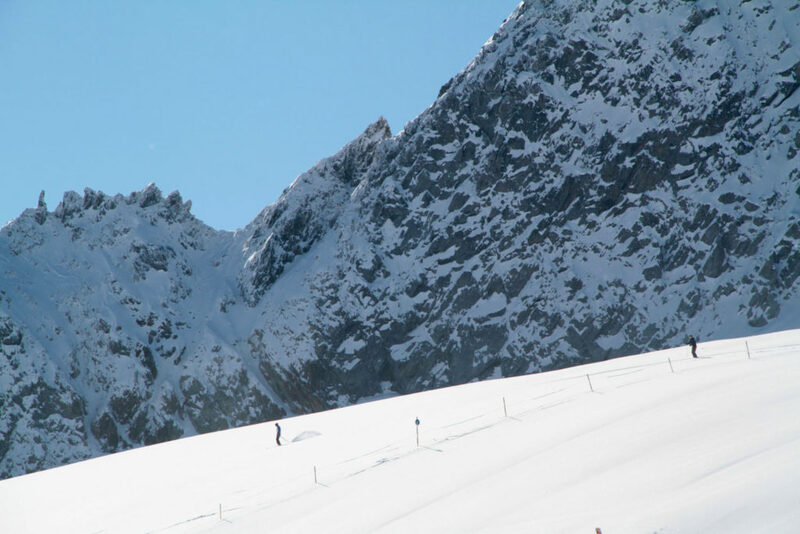 See Solden Ski Photos. 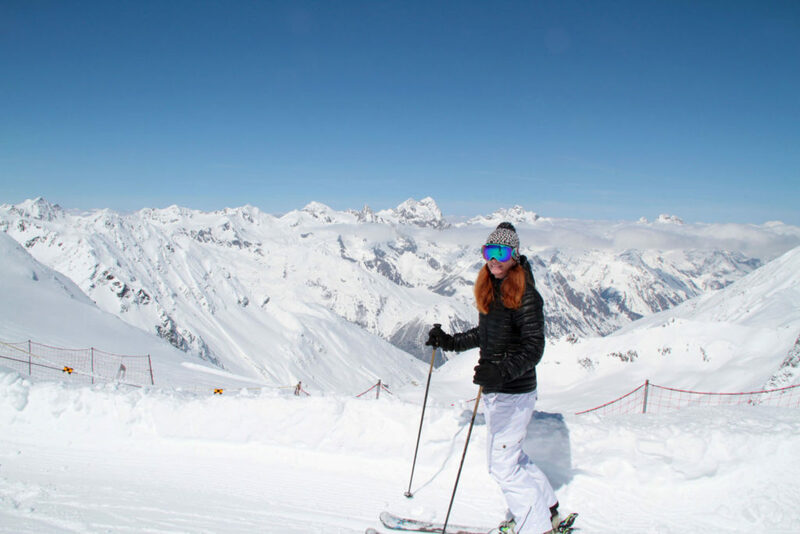 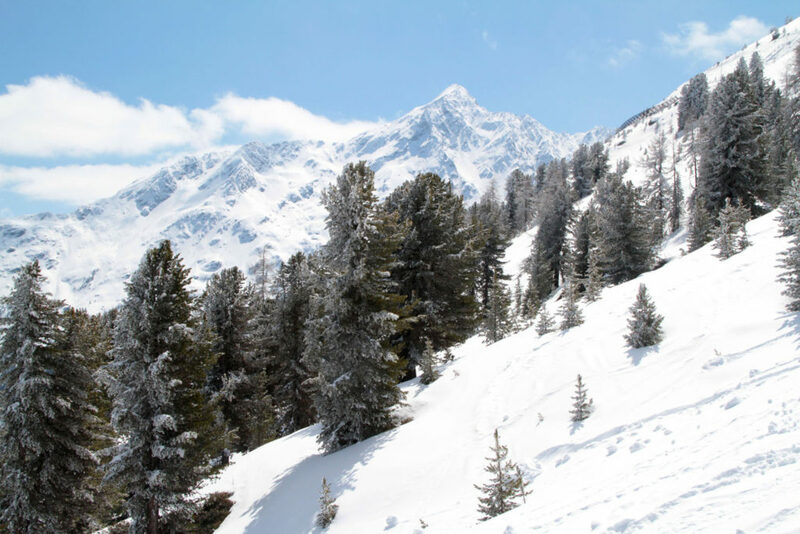 Families love Solden’s variety of ski slopes, from gentle sunny slopes to the high elevation glaciers – Rettenbach Glacier at 10,662-feet and Tiefenbach Glacier at 10,856-feet. 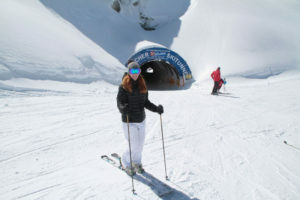 Kids love that the US Ski Team trains here, you can ski by the World Cup Stadium, and ski through an amazing ski tunnel carved through the mountain that connect the two glaciers – very cool. 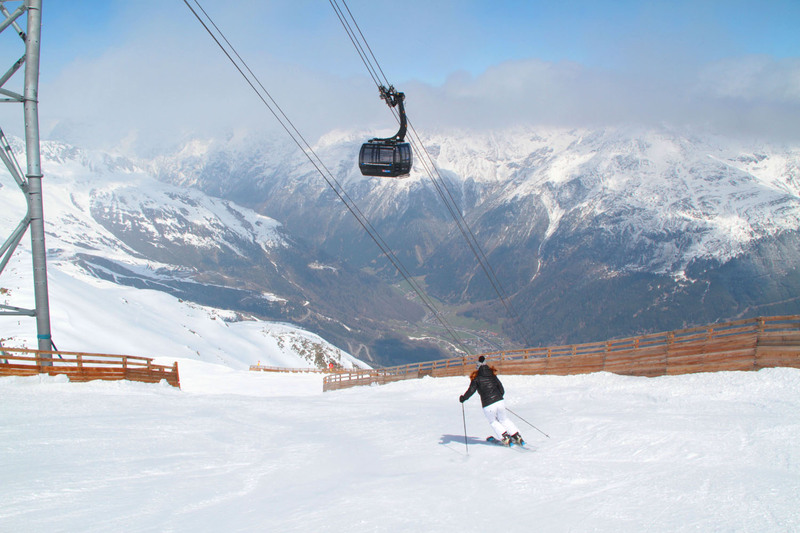 Solden’s Gaislachkogl summit is reached by two modern interconnected gondolas rising from Solden village, serving scenic groomed routes and thousands of acres of off-piste terrain. The Gaislachalm area, Solden’s eastern face, offers quiet skiing with numerous charming ski in ski out lunch chalets. Skiing Solden’s north flank, you reach the Rotkogljoch which leads you to the Giggijoch area. 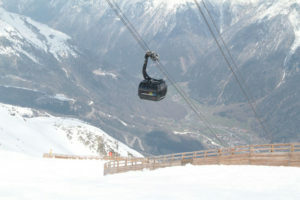 Gigijoch is a perfectly pitched, usually sunny area loaded with high capacity lifts, very popular for intermediate skiers. 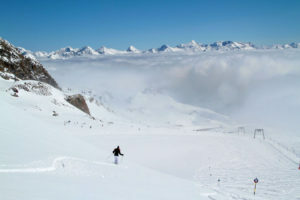 The western most section of Giggijoch is called Hochsolden, where a romantic hillside village offers several big hotels perched high above the village of Solden. 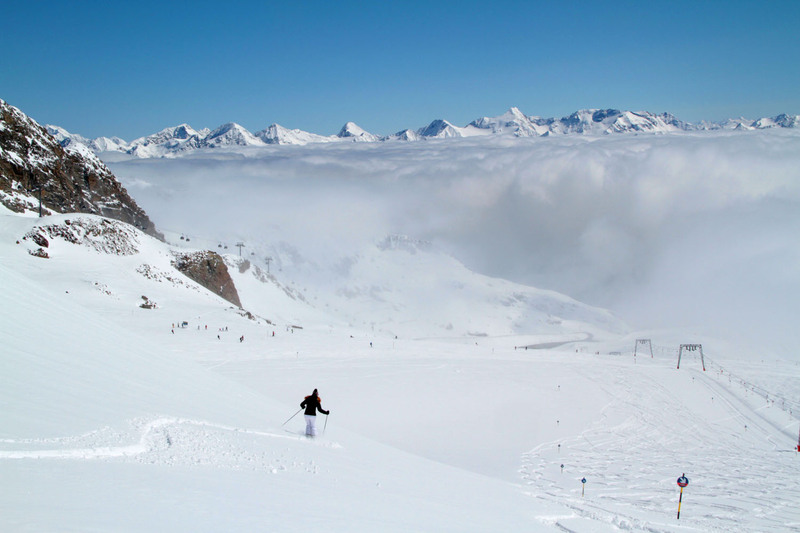 Hochsolden would be a convenient and quieter place to stay for families looking for a ski in ski out vacation hotel. 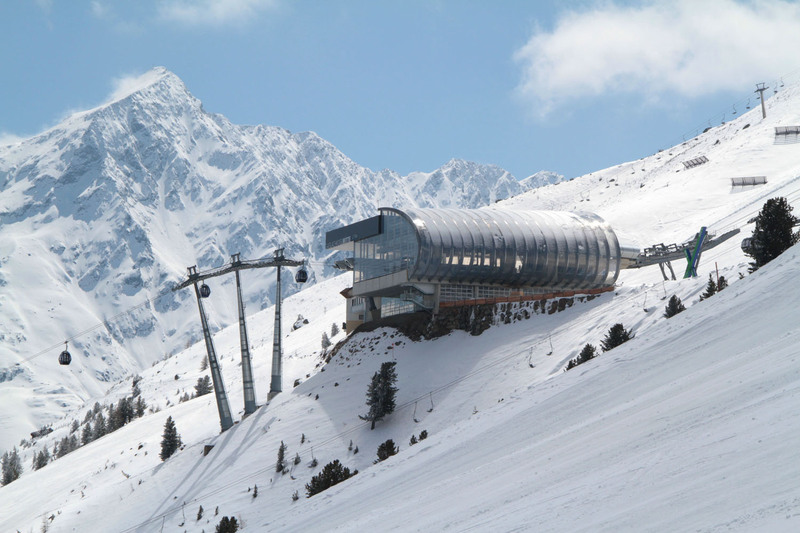 Solden’s lift system is amazing (Austria is home to Dopplemayr lift company) with very modern high capacity cable cars, trams and gondolas, six and eight passenger bubble chairs, transporting 70,000 skier per hour. Vail’s uphill capacity is 53,000 skiers per hour for comparison, so you can extrapolate that Solden handles the crowds during holidays. Solden is incredibly scenic too, with amazing glass viewing platforms – The Big 3 (not for those who fear heights). In addition to all this great skiing and scenery, Solden has magnificent on mountain lodges plus 26 chalets (see our chalet lunch recommendations below) that serve traditional Austrian lunches, just ski in and enjoy. 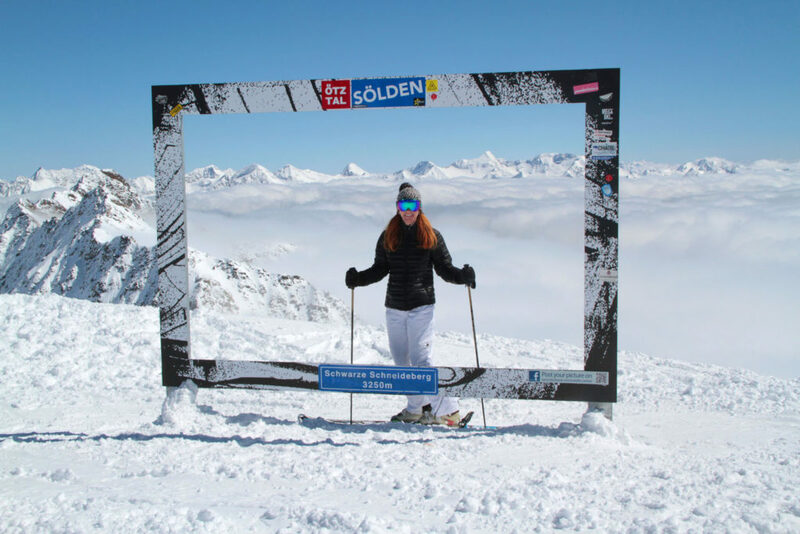 The village of Solden does not have the same alpine charm as the best Austrian ski villages – there area a few chalet style hotels, cafes and bakeries, plus modern ski shops, après ski disco techs, dance clubs (even strip clubs). So Solden is a party town, but there are two to five star hotels that offer family ski vacation packages. The Hotel Bergland in Solden village, built in 2010, is perfect for families, with a very modern Lobby, designer suites, and a Game Room for the kids, plus a spectacular rooftop Sky Spa with an oversized pool offering gorgeous views of the valley. Hotel Bergland – 4-star lifestyle hotel with modern alpine décor rooms, a rooftop Sky Spa, elegant dining and breakfast buffet, Lounge, Sun Deck, and ski shop with valet next to the Zentrum Shuttle and Solden slopes. 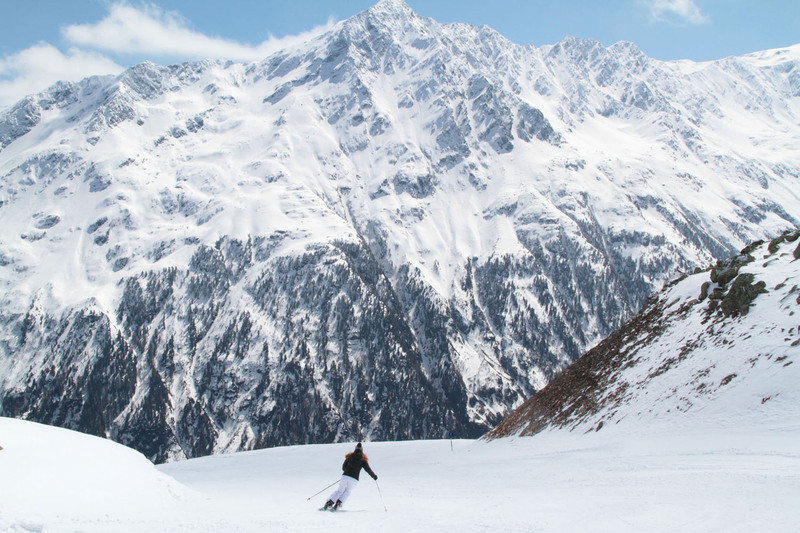 Gampe Thaya – Trail 11, ski to this 300-year-old mountain farmhouse, and dine amid authentic cowbells and ski memorabilia. 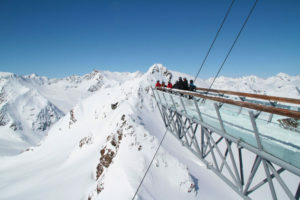 Fondue and Austrian schnitzel are served in the cozy hut or outside on sunny days with sensation views of the Otztal valley. 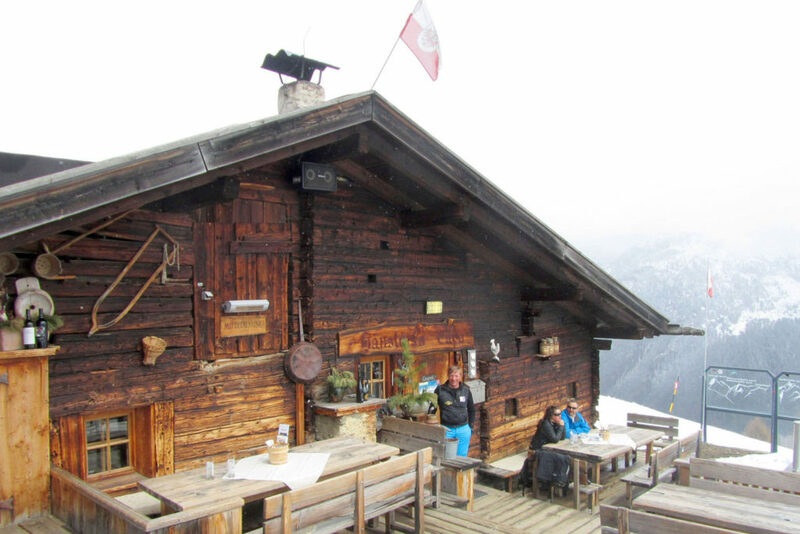 Huhnersteign –Trail 30, ski to this Austrian chalet serving traditional spatzle, soups, sausage and Weiner schnitzel in a typical music filled atmosphere. 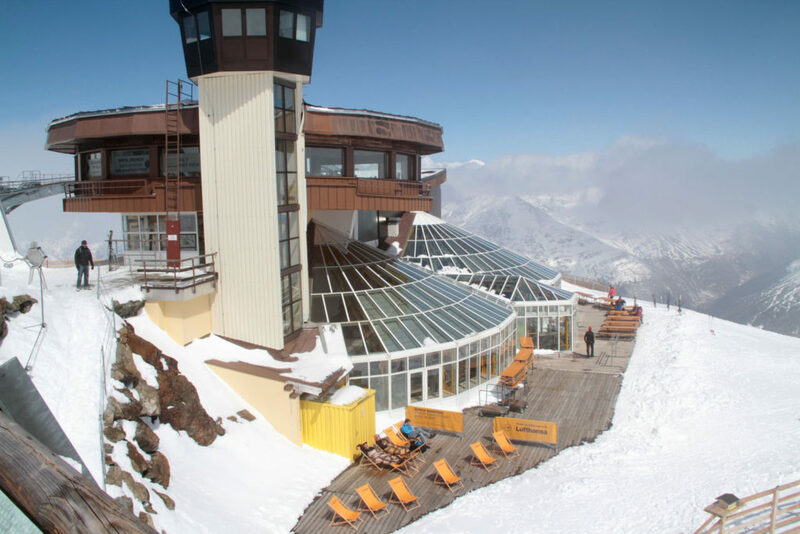 Stabele Schirmbar – At the Stabele lift base off Trail 30, Chef Alex makes the best burger in Austria in an umbrella bar restaurant. 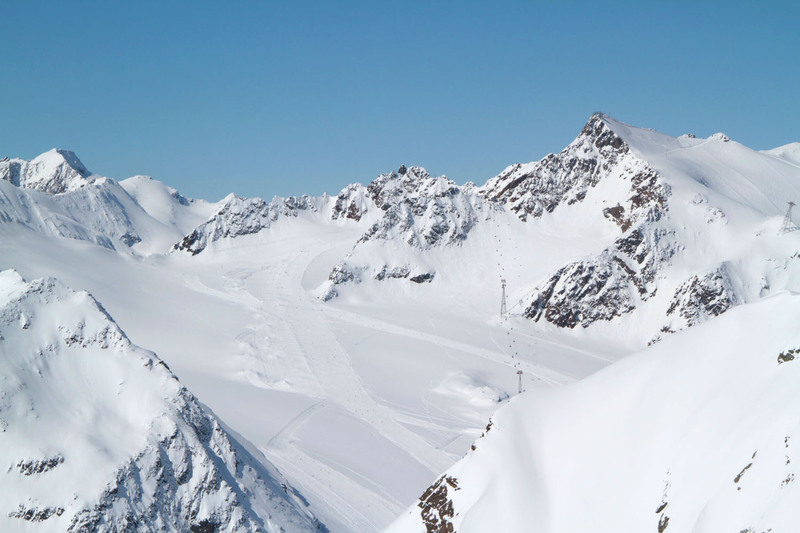 Alex enjoyed cheeseburgers during his visit to the US, and returned to Austria to make his Berg burger in Solden, only better. 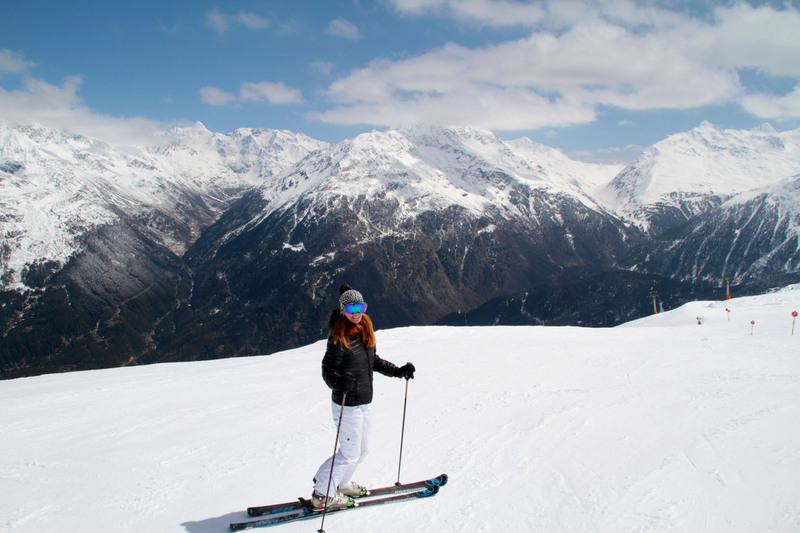 Solden Ski Stats: 10,985-feet summit, 6,135-feet vertical, 33 lifts, over 150 kilometers of ski trails plus extensive off-piste. Open October through May with glacier skiing, the official sponsor of the US Ski Team and host of World Cup ski races.